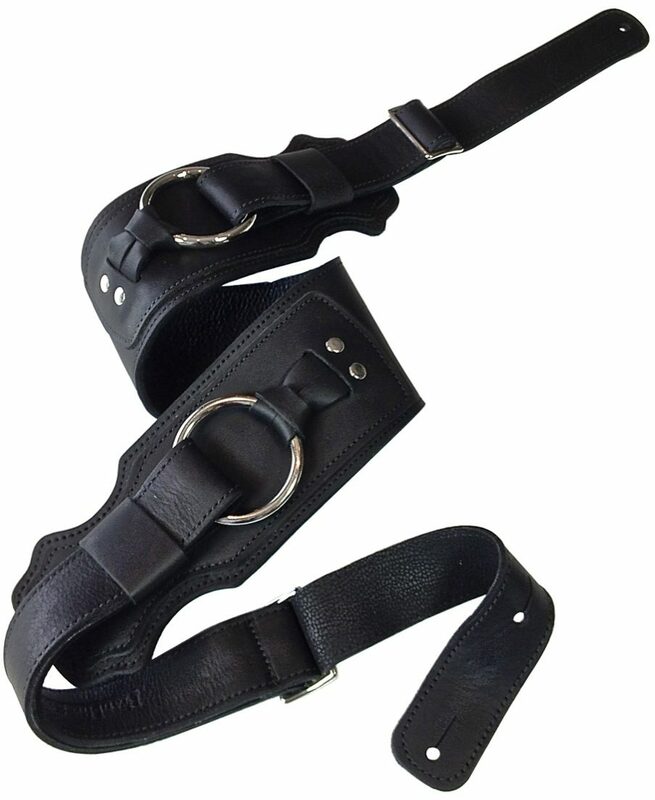 Bass players, or anyone with a heavy guitar, will love the Franklin BR-BK-BK Ring Bass Glove Leather Guitar Strap. The body is 3.5" wide and spreads the weight of the instrument comfortably over the shoulder. The top is deeply oiled glove leather with a naked finish and the backing is perforated garment leather with a polished surface, reminiscent of exotic European sports car upholstery. - Black with Garment Leather backing and chrome ring. - Adjusts from 48" to 55"
zZounds is an authorized dealer of Franklin Straps products. Overall: Glove leather is supple and large strap size helps with comfort for heavier guitars. Looks and feels good.